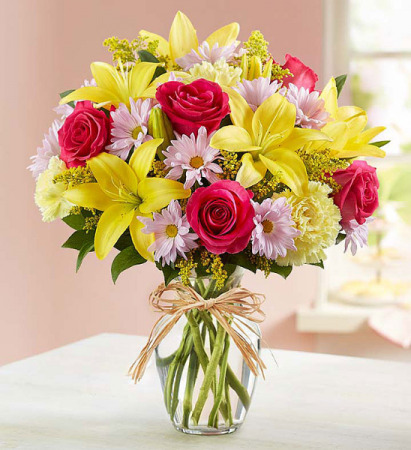 Send someone a smile today with a smiling flower bouquet. 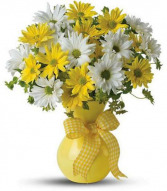 A yellow smiley face mug overflows with seasonal yellow and white flowers including yellow roses, yellow daisies and white daisies. 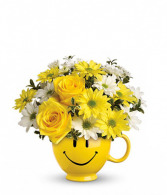 The mug is reusable and perfect for the coffee lover in your life. 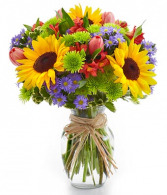 Delivery same day is available, with a card message which can be personalized by you.